Metropolitan Orlando led the nation in foreclosure activity during March, with a 13 percent increase in filings compared with February, according to a new report. The number of legal actions at all stages of the foreclosure process hit a nine-month high of 2,886 but was still down from a year earlier, according to a report released by the real-estate research firm RealtyTrac. 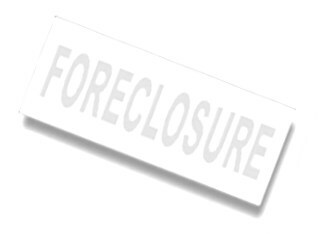 More homeowners in Orange, Lake, Seminole and Osceola counties — 644 — entered foreclosure in March than in February. Still, the number of foreclosure first-timers remains about half what it was in March 2013. Increases in new foreclosures and sales haven't slowed the real estate market, said Tom O'Brien, an agent with Watson Realty in Lake Mary. Several years ago, agents were seeking business from owners who were just starting the foreclosure process, but that's no longer the case. "Nobody in my office is a bit concerned about the market right now," O'Brien said. " Everybody has as much work as they can handle now." Orlando's top ranking was based on a rate of one foreclosure action for every 326 houses. Florida, which requires foreclosures to go through the courts, led all other states, with one action for every 407 houses. That compared with a national rate of one for every 1,126 houses. Florida's foreclosure activity, however, has decreased for the past three consecutive quarters. "Now that the foreclosure deluge has dried up, banks are turning their attention back to properties that have been sitting in foreclosure limbo for some time," said Daren Blomquist, vice president at RealtyTrac. "This is most evident in judicial foreclosure states that were more likely to have impediments in the foreclosure process." •Lake, 441 actions, up 10 percent from February and up 37 percent from a year earlier. •Orange, 1, 483 actions, up 22 percent from February and flat from a year earlier. •Osceola, 400 actions, down 23 percent from February and down 43 percent from a year earlier. •Seminole, 562 actions, up 37 percent from February and down 21 percent from a year earlier. Nearby Metropolitan Orlando, Polk County has experienced the largest increases in foreclosure actions. With 786 filings in March, Polk had an increase of 15 percent compared with February and 28 percent compared with a year earlier. Brevard County showed some signs of recovering from the shutdown of NASA's space shuttle program. It had 790 filings last month, down 13 percent compared with February but up 3 percent year over year. Volusia County, meanwhile, had 419 filings, down 27 percent for the month and 20 percent for the year.